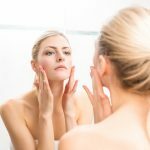 Home » Blog » Posts » Skin Science » Science behind our products » Which Ultraceuticals’ facial peel is right for you? 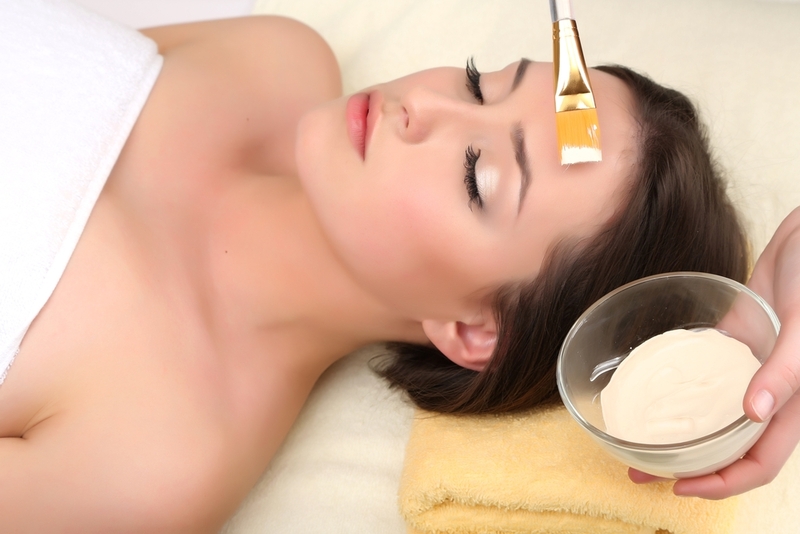 Which Ultraceuticals’ facial peel is right for you?
. Published on April 14, 2016 . Facial peels can be a tool in your quest for healthy, beautiful-looking skin. Carefully formulated to clear away a dull-looking, uneven surface texture, a peel can reveal a fresher, glowing complexion beneath, giving your skin care routine the boost it needs to achieve your best-ever skin. 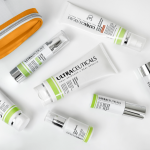 Here at Ultraceuticals, we offer a range of different facial treatments, including facial peels to suit a variety of skin concerns and needs. We’re taking a closer look to help you get an idea of which one is right for you. 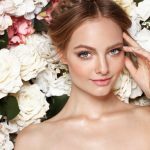 What sort of facial peels does Ultraceuticals offer? The A-Zyme Skin Workout utilises Retinol, one of the most effective anti-ageing ingredients available, combined with Bromelain. The power house of all anti-ageing treatments, this fast-acting, non-invasive skin rejuvenation treatment has been carefully formulated to combat the effects of ageing and UV damage, as well as improve the appearance of fine lines, skin tone and texture. In addition, the A-Zyme Peel can also be a good solution for those with acne by managing our skin’s oil levels and reducing the build up of dead skin cells. As Retinol has been shown to support the production of new skin cells, the A-Zyme Peel also can target dryness and dehydration, as well as blotchiness – all factors that contribute to visible ageing. It achieves this by dramatically retexturing the skin and plumping up fine lines and wrinkles with increased hydration to leave the skin looking clarified, refreshed and luminous. The A-Zyme Peel is compatible with most skin types, however, it is not suitable for women who are pregnant or lactating. If you are on any medications or have been using Retin A, be sure to discuss this with your skin technician, as it may impact your choice of skin peel. Recommended home care may include products containing Vitamin A, as well as Lactic Acid (AHA) and Salicylic Acid (BHA). A Lactic Acid Peel can be beneficial for a range of skin concerns, from acne, to UV damage, fine lines and pigmentation. A naturally occurring ingredient, Lactic Acid can be found in some plants and fruits, but research has recently found a way to integrate it into skin care. When brought into contact with our skin, Lactic Acid works to dissolve the bond that holds dead skin cells to our skin’s surface. By ridding our skin of these dead cells, we can help to treat some of the signs of hyperpigmentation, uneven skin tone and roughness, not to mention freeing up blocked pores that can contribute towards acne. Once the layer of dead skin cells has been removed, a fresh layer of skin is revealed with a smoother texture. The beauty of the Lactic Acid Peel is that it can also assist in hydration to create a more plump and radiant complexion. Before your first treatment, your skin technician will prepare your skin by suggesting a home use treatment serum containing Lactic Acid (e.g. Even Skintone Serum). The peel will be applied to the skin for a set time and then easily removed with water. Lactic Acid Peels deliver fast results and actively work to resurface and improve your skin’s moisture levels while restoring clarity and skin luminosity. There is usually very little sensation with a Lactic Acid Peel and minimal visible down time. This is one of the reasons a Lactic Acid Peel has often been affectionately labelled a ‘lunch time peel’ – you can pop out at lunch for quick peel and no one will be any the wiser! 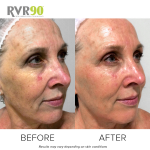 It is recommended to have a course of treatments to get the most out of your peels – six treatments, two weeks apart will help you to see real visible results in 90 days. To get the most out of your Lactic Acid Peel, your skin technician will likely recommend that you follow up your treatment with Lactic Acid skin care products at home in a long-term care programme. This Alpha Hydroxy Acid (AHA) is found in its natural form in almonds, and is a potent ingredient for reducing the dead cells on our skin’s surface. 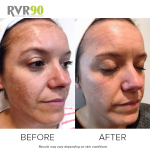 In skin treatments, it is used to combat the blotchiness of hyperpigmentation and minimise the appearance of melasma, fine lines and wrinkles. It can also be beneficial for patients with acne. Thanks to the clearing of dead skin cells, Mandelic Acid can help to minimise pores and alleviate acne symptoms, as well as targeting skin discolouration. During the treatment itself, you may feel a slight tingling, but no pain. This type of treatment has a minimal physical peeling effect but this doesn’t mean it’s not working hard for you. Rather than producing a lot of physical peeling, Mandelic Acid encourages the skin’s own regenerative functions. It is suitable for use on most skin types, and is safe for women during pregnancy – be sure to consult a skin technician about your suitability for any peel, especially if you have been on medication. Like any other facial treatment, the effects of a Mandelic Acid Peel can be enhanced through proper aftercare, usually through the use of skin care products recommended by your skin technician. How well do you know your SPF? 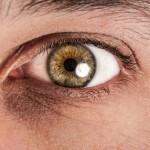 What are peptides and how do they target ageing on my skin?